Manchester United and British Football legend, Ryan Giggs, has finally ended his 29-year association with Manchester United. During his prime, Ryan Giggs was as fast and agile as today’s Lionel Messi and Gareth Bale – something that he tried to convince his son on several occasions, but never managed to. The “Welsh Wizard,” as he was dubbed, spent his entire playing career in Manchester. With the arrival of Jose Mourinho, the Welsh wizard decided it was the right time to leave the club that he spent the last 30 years with. Giggs announced that he has gained plenty of knowledge from Sir Alex Ferguson and Louis Van Gaal. Giggs made a statement in which he thanked the Manchester United fans for their support and congratulated Jose Mourinho on getting the United job. 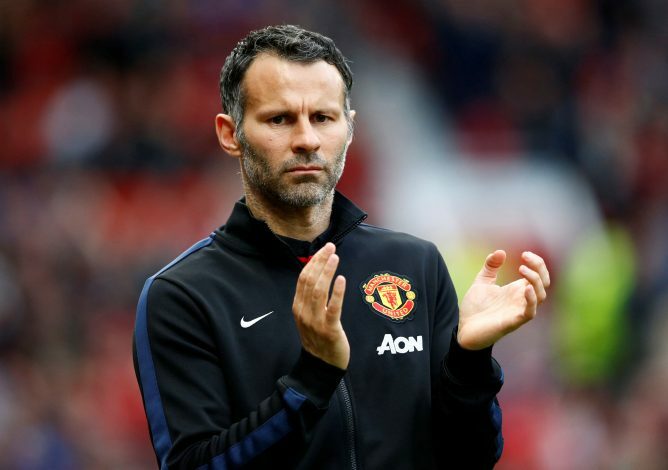 Ryan Giggs said: “After 29 seasons at Manchester United as a player and assistant manager, I know winning is in the DNA of this club – giving youth a chance, and playing attacking and exciting football. It’s healthy to have high expectations, it’s right to expect to win. Manchester United expects, deserves, nothing less. “This is why it is a huge decision for me to step away from the club that has been my life since the age of 14. It has not been a decision that I have made lightly. I’ll take away so many special memories as well as a lifetime of experiences that will, I hope, serve me well in the future. “I want to reiterate my thanks to the backroom staff and support teams at Manchester United I’ve worked with over the years. The results on the pitch are a reflection of the hard work off it. I would not have achieved the success I have without the dedication, sacrifice and commitment of these people to creating the best environment for the team to succeed. “I want to congratulate José Mourinho on his appointment as manager of the world’s biggest club. There are only a handful of proven winners at the very highest level and José is unquestionably one of them. I know the fans will welcome him. Ryan Giggs is now looking to test his skills as a manager. He was said to have been offered a role in the Manchester United Youth squad, under Jose Mourinho. But, the Welshman refused the role, and is seeking a more demanding position. Sir Alex Ferguson brought Ryan Giggs to Manchester United after the young Welshman impressed the United scouts when he played in the Manchester City Youth set up. In 1973, Ryan Giggs joined Manchester United, and since then, he has won 13 Premier League titles, 2 Champions League trophies, 4 FA Cups, and 4 League Cups. Giggsy ended his career after playing 963 games, and having scored 168 times – not bad at all for a winger. Manchester United had just reached the Champions League semi-final and locked horns with Juventus. The Italians played ruthlessly from the beginning, determined to knock their English opposition out of the cup. In the 25th minute, Antonio Conte gave Juventus the lead with a crucial away goal that would help the Italians later. But, Ryan Giggs scored the equalizer in the latter part of the game. Giggs’ goal gave United hope for the second leg of the match, which was played in Italy. Manchester United eventually won the match in Turin 3-2, and went on to win the Champions League that season. Ryan Giggs scored his first goal during his full debut for Manchester United. Not only was this a major achievement, but to top it off, it was against their cross-town rivals – Manchester City. His derby day goal proved to be the winner as it was the only goal scored in the match. The Welsh Wizard terrorized the left flank, causing all sorts of problems for City’s defenders. Over the years, Ryan Giggs has played in 36 Manchester derbies, winning the majority of them. Right before the Champions League round of 16 tie, Ryan Giggs was heavily criticized by the Manchester United fans. But the Welsh Wizard was not put off, and he played one of the best games of his career. Ryan Giggs was subbed on in the 8th minute due to an injury to Diego Forlan. It took the Welshman less than 10 minutes to find the back of the net. Giggs also scored the second goal just minutes before the halftime whistle. His double helped United win the match 0-3 and progress to the quarter-finals. Manchester United traveled to Moscow in an attempt to win their second UEFA Champions League trophy. They faced their Premier League rivals, Chelsea, in a tense match that ended as a draw. The match was going to have to be decided on penalties. Ryan Giggs scored the crucial Manchester United penalty that poised them to win the cup. Seconds later, they had secured the trophy – after Nicolas Anelka missed Chelsea’s chance to get back in the shootout. This one’s definitely Ryan Giggs’ most famous match in his entire career, where he also scored one of the his goals ever. With Manchester United facing an FA Cup Semi Final replay match against Arsenal, Ryan Giggs stepped up. Manchester United were down to 10 men after Roy Keane was sent off, and Peter Schmeichel kept United in the match by saving a crucial penalty. Ryan Giggs collected a loose ball on the halfway line sent in from Patrick Vieira, and began his intense dribble – roaring past 5 players, with precision and accuracy, before shooting past David Seaman at an angle and scoring a stunner. Giggs’ incredible goal was followed by one of his best-remembered celebrations – Ryan Giggs took off his shirt and twirled it over his head as he ran down the pitch in joy. His goal sent United to the FA Cup final, which they won – helping Manchester United complete their historic treble.